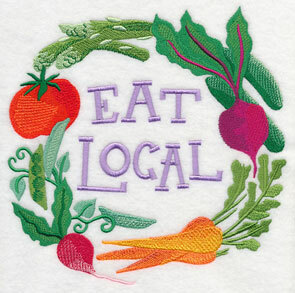 Fresh fruits and vegetables, beautiful flower bouquets, and stalls filled to the brim with nature's finest -- farmers markets are a classic summertime staple. 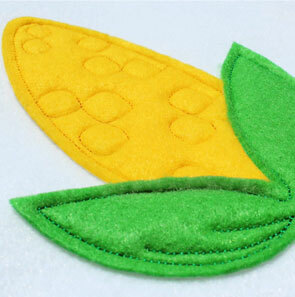 Stitch the fresh bounty found at the market with these tasty designs! 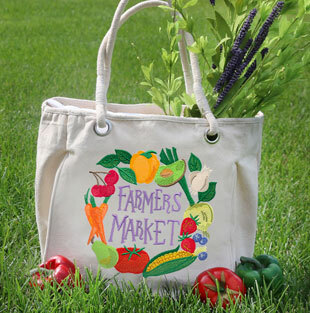 Delicious fruits and vegetables in watercolor are flavorful on farmers market totes, pillows, and gardening gear. 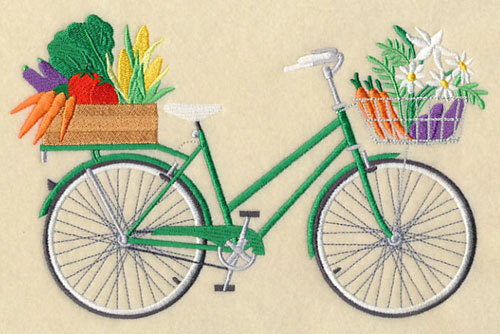 Whip up a colorful tea towel for your kitchen with fresh collages, or add a market bicycle to outdoor decor. 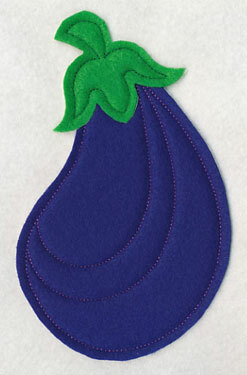 Bring a bushel of applique veggies into your home on bunting, placemats, and more. Plus, beautiful bouquets, fresh farm words, and more! Carry your fresh finds from the farmers market in style with a colorful tote. Welcome to the farmers market! 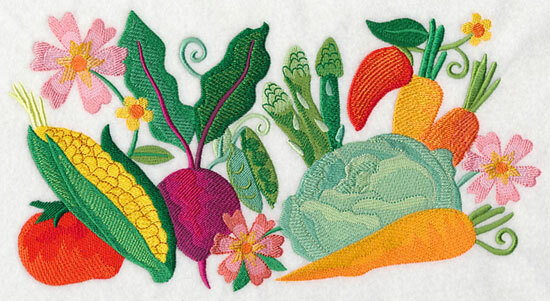 Stitch these summer watercolor designs featuring a bounty of fresh produce on your next project. 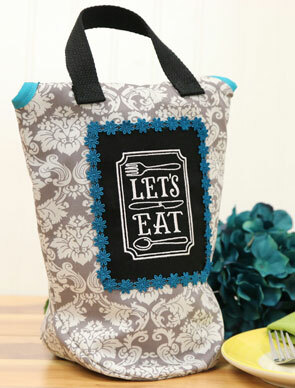 Reusable grocery bags and totes are the perfect place to stitch this tasty design -- see our favorite tote bags here! 7.69" x 7.80" and 6.85" x 6.95" and 5.85" x 5.93" and 4.74" x 4.81"
Two other variations of the wreath above have been created, and are terrific additions to pillows, tote bags, and framed artwork. 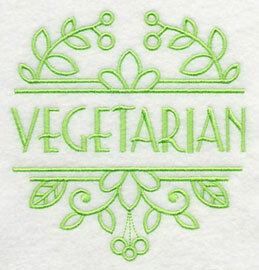 7.79" x 7.74" and 6.91" x 6.88"
Garden signs, kitchen artwork, placemats, and more are the perfect fit for this stunning motif. 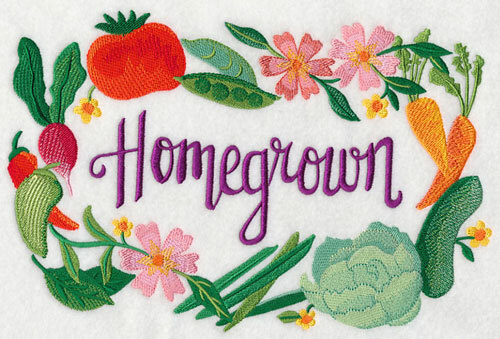 Fresh flowers and the word "Homegrown" sit amongst a wreath of delicious veggies. 10.39" x 6.86" and 8.83" x 5.85" and 7.78" x 5.14" and 6.86" x 4.52"
Add this border design to garden projects of all shapes and sizes, including outdoor pillows, aprons, totes, and more! Get our best garden project ideas in this fun mini-magazine. 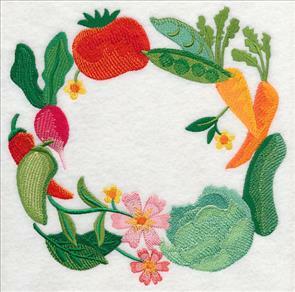 11.75" x 6.27" and 9.40" x 5.02" and 7.80" x 4.16" and 6.90" x 3.68"
Repeat this border design along a summery table runner, or add it to the bottom of dish towels and placemats. 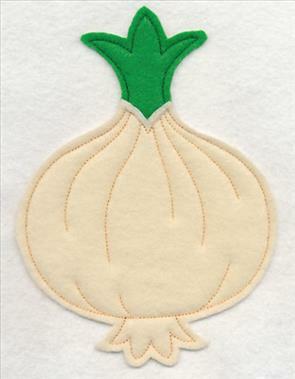 A tasty addition to any kitchen! 11.75" x 3.41" and 9.41" x 2.73" and 7.80" x 2.27" and 6.86" x 1.99"
Update pillows, framed artwork, table linens, and more with this flavorful corner design. Get all our favorite ideas for using corners in this creative video! 6.36" x 5.85" and 5.27" x 4.85" and 3.85" x 3.54"
Get these stunning watercolor designs using the links above, or get them all in a design pack! Take a ride to your local market with these delicious pedaling bicycles. 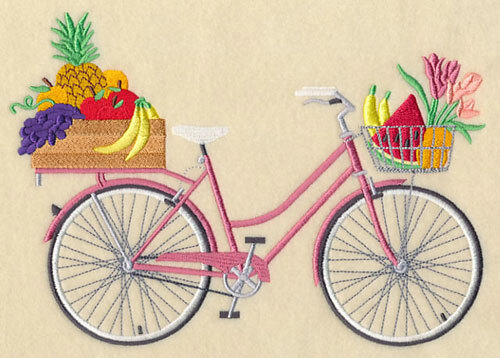 A variation of the Pedals on Parade bikes is filled to the brim with fresh fruit -- yum! 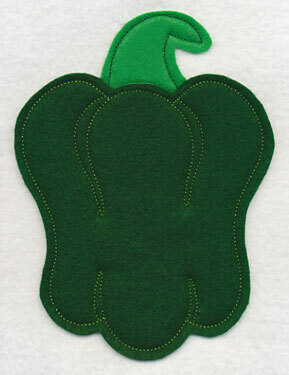 8.50" x 6.04" and 7.81" x 5.55" and 7.04" x 5.00" and 6.03" x 4.28"
In addition to the fruit bicycle above, this bountiful vegetable version is available as well. 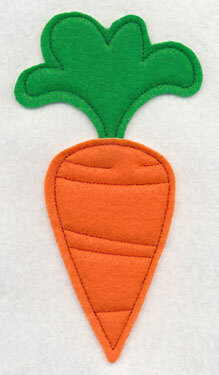 Stitch on pillows, tote bags, and so much more! 8.48" x 5.46" and 7.79" x 5.02" and 7.03" x 4.53" and 6.01" x 3.88"
It's time to eat! 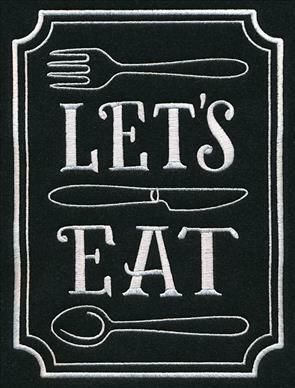 Mimic the look of restaurant chalkboards in your embroidery with these bold and graphic designs. 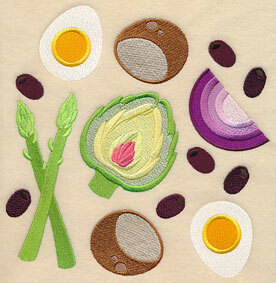 They're contemporary additions to aprons, wall hangings, framed artwork, and more! 6.81" x 9.19" and 5.78" x 7.80"
4.86" x 6.56" and 2.89" x 3.90"
An insulated lunch bag is the perfect way to keep your meal cool -- and look cool while doing so. Free tutorial here! 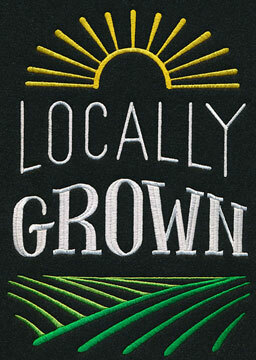 Show your loyalty to the food grown in your area with these trendy designs. 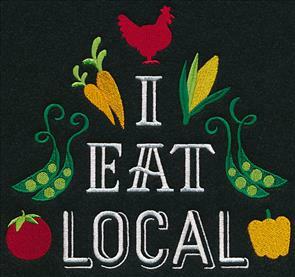 The words "Locally Grown" and "I Eat Local" are terrific on tote bags, T-shirts, kitchen decor, and more. 6.86" x 9.69" and 5.52" x 7.80"
7.53" x 6.88" and 6.41" x 5.86"
5.30" x 4.84" and 3.87" x 3.54"
Bright and colorful collages showcase the classic ingredients of your favorite dishes. 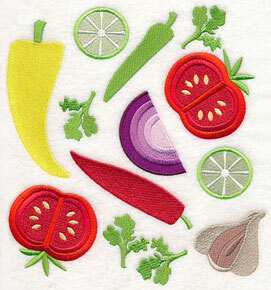 Add the produce needed for a batch of salsa to a tea towel, or adorn an apron with pizza supplies. 7.35" x 7.80" and 6.81" x 7.22"
5.82" x 6.18" and 4.81" x 5.10"
7.81" x 7.47" and 7.06" x 6.76"
6.12" x 5.85" and 4.99" x 4.77"
Ambrosia salad, a type of traditional fruit salad, contains a bounty of sweet and juicy produce. 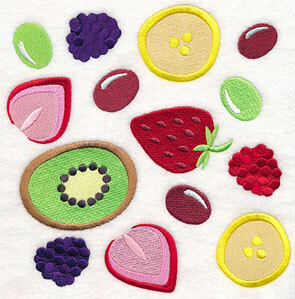 Strawberries, grapes, and more are found in this delightful dish (and the coordinating design!). 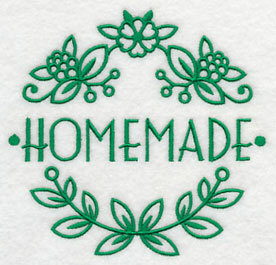 See all our favorite tea towel projects in this fabulous (and free!) mini-magazine! 7.73" x 7.81" and 6.86" x 6.93"
5.86" x 5.92" and 4.81" x 4.86"
Finish off your recipe book with a classic green salad and Nicoise salad. The Nicoise salad is a delicious French dish compose of asparagus, hard-boiled eggs, and other tasty ingredients. 7.80" x 6.69" and 6.77" x 5.80"
7.63" x 7.80" and 6.90" x 7.05"
5.85" x 5.98" and 4.84" x 4.94"
Any stroll through the farmers market will showcase brilliant blooms of all shades and styles. 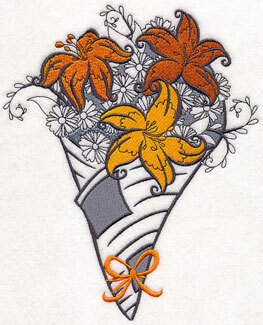 Take a bouquet of your favorite flowers home with these unique designs. 6.88" x 7.34" and 5.87" x 6.27" and 4.85" x 5.20"
Each of these delightful floral bouquets show the blooms wrapped in newspaper, or brown craft paper, just as if they were purchased at your local market. Stitch on pillows, totes, and more for a beautiful look. 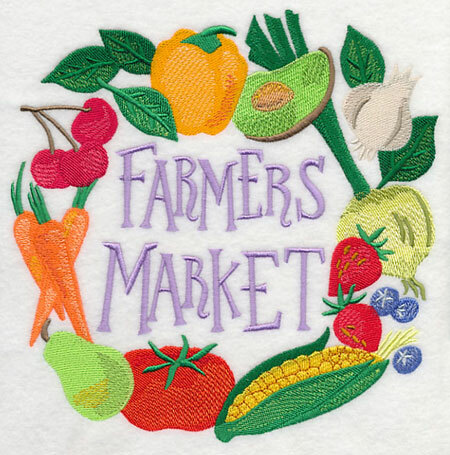 7.80" x 6.42" and 7.09" x 5.84" and 5.89" x 4.86"
Add a light, quick-stitching design to farmers market totes, tea towels, aprons, and more with these one-color designs. 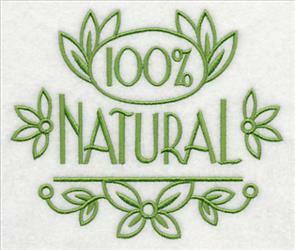 Boasting words such as "100% Natural" and "Homemade," they're the perfect fit for any homegrown project. 5.81" x 4.87" and 3.87" x 3.25"
5.11" x 4.86" and 3.88" x 3.69"
2.72" x 2.59" and 2.12" x 2.02"
These designs come in a wide variety of sizes, and can even be used to make sweet canning jar covers! 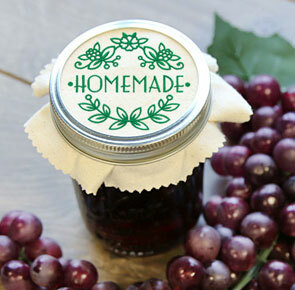 Top a Mason jar filled with homemade jelly with one of these designs, or use to decorate jars of salsa, pickles, or canned fruit. See how it's done in this helpful tutorial! 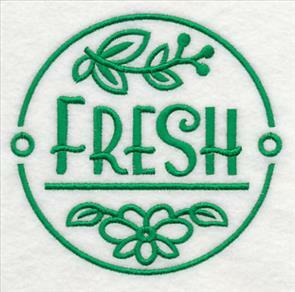 Mark your produce as "Fresh" or "Organic" with these light-stitching designs. Elegant swirls and farm fresh details add extra eye-catching appeal. 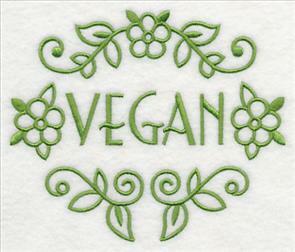 5.09" x 4.87" and 3.89" x 3.73"
5.16" x 4.86" and 3.85" x 3.69"
2.70" x 2.59" and 2.10" x 2.02"
The vegetarian or vegan in your friend group will love a personalized gift made just for them. 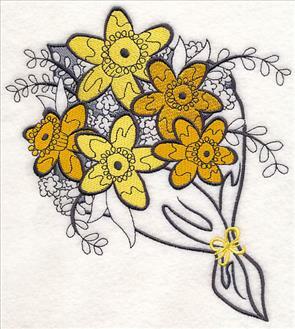 Add these designs to T-shirts, tea towels, bottle wraps, and more! 4.87" x 5.18" and 3.65" x 3.87"
5.81" x 4.87" and 3.85" x 3.23"
2.71" x 2.28" and 2.11" x 1.77"
Bring a bushel of these tasty vegetables into your kitchen or garden. The crafty cut edge of the multi-piece applique used in these designs gives them a raw look with layers of depth and dimension. 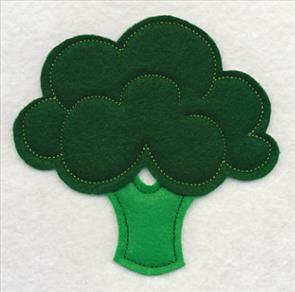 Find out more about crafty cut applique right here. 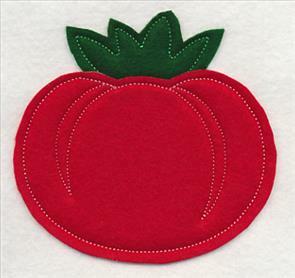 4.69" x 6.22" and 2.79" x 3.59"
Add these colorful veggies to a wide variety of projects, including garden caddies, pillows, placemats, dish towels, garden flags, and more. Update the designs to fit your decor by using patterned fabric, too. 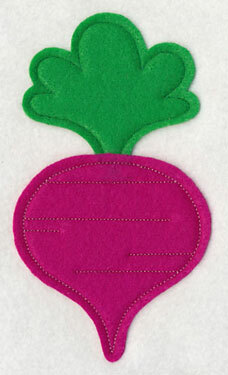 4.47" x 6.81" and 2.56" x 3.82"
Simple stitching on these designs gives a subtle nod to the detail of a real veggie. 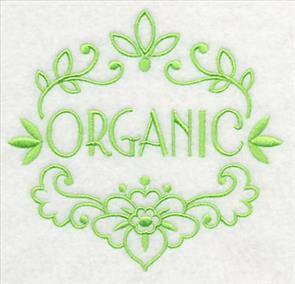 The open fabric edges on these designs brings a crafty look to your projects. 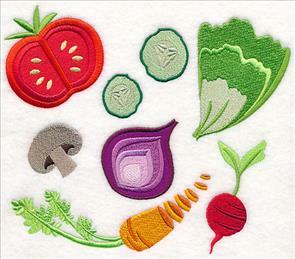 Decorative scissors can add an even more beautiful and unique texture to the veggies. 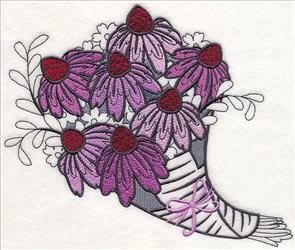 See how it's done in this helpful Embroidery Library YouTube video. 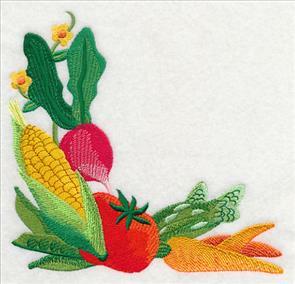 4.61" x 4.52" and 3.46" x 3.39"
Nine different vegetables (including a carrot, green pepper, corn, tomato, broccoli, eggplant, beet, onion, and radishes) are available in this applique style, and are terrific additions to a wide variety of projects. 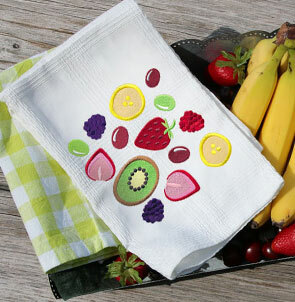 Stitch your favorites on a set of dish towels, or a quilt! 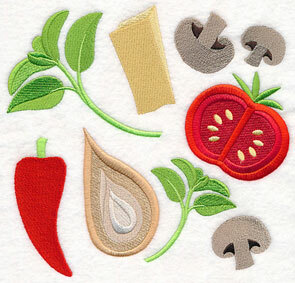 3.76" x 6.54" and 2.19" x 3.64"
The fresh tastes of the garden come into your home with these delicious designs. 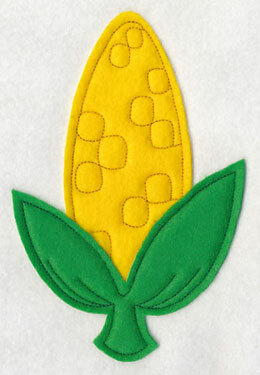 Terrific on aprons, wall hangings, or even a bunting for your outdoor decor! 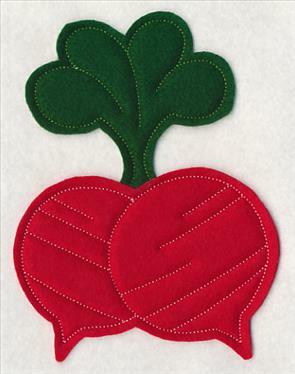 4.82" x 6.48" and 2.86" x 3.81"
Get these applique veggies using the links above, or get them all in a design pack. 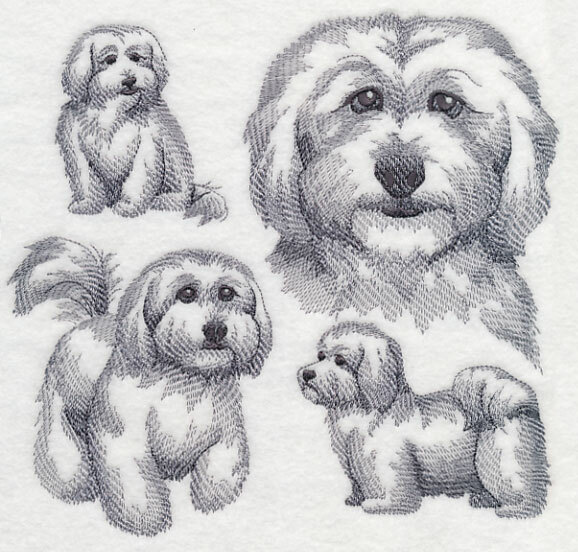 Sketch designs featuring adorable pups are always a popular request. Both Gloria and Carol were looking for a version featuring the sweet and cuddly dog -- thanks for the suggestion! 7.80" x 7.47" and 7.17" x 6.90" and 6.11" x 5.86" and 5.03" x 4.85"